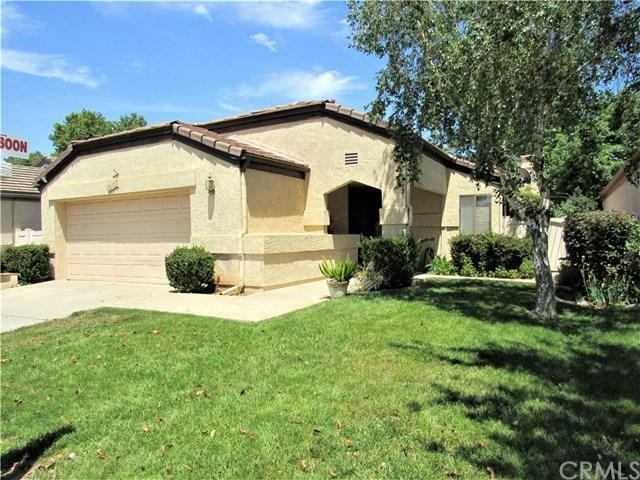 This Senior home is located on a very desirable lot backing up to a beautiful Green belt in the gated community of Casa Murrieta. Walk up to this home and you are greeted with a welcoming covered patio entrance. This home has a very open feeling and allows in plenty of light. Need that extra space? It also has a great floor plan offering a bonus Den or Office in the front of the home. Open airy kitchen with loads of cabinets, raised ceiling and adjoining dinette. Spacious living room with fireplace. Large master bedroom with slider to yard. Park your cars inside with this true 2 car Garage complete with a newer quite garage door opener and plenty of storage. Enjoy night after night in your beautiful back yard looking out to trees and the maintained Green Belt area while you enjoy sitting under the covered patio. This community has walking trails, parks, swimming pool, jacuzzi and club house activities. HOA includes landscape maintenance of front yard and common areas, as well as, community amenities. Close to shopping, freeway and restaurants. All this and much more! Come make this house your home! Sold by John Moran of First Team Real Estate, Tem.